Independent auditors investigating circumstances that led to the country’s banking crisis have called on the Central Bank to rethink the current Banking Supervision Division (BSD) structure, its mode of operations and the skill set of its personnel. In a report on the developments, the investigators called for the inclusion of mandatory rotation of BSD examination personnel and a requirement to certify semi-annually that apart from their supervisory role, no BSD staff member has played any consultancy role for any financial institution. They also called on BoG to enforce its code of conduct to the letter, adding that any BSD staff leaving the regulator should be subject to a cooling-off period prior to joining any bank or non-bank financial institution, as a director, consultant or employee or in any other position (paid or otherwise). “Any instance of an auditor’s refusal to sign accounts should be mandatorily forwarded to the Bank of Ghana Board. The auditor must be required to provide a detailed explanation for the refusal and if appropriate, this should act as a red flag which leads to action by BoG. A summary of all BSD reports and the actions requiring the attention of the respective bank boards, they said, must be submitted to the BoG Board for regular review and should form part of BoG’s review of the country’s financial sector. “BSD must be required to enforce the changes prescribed after examinations. Within a year of identifying areas of concern, measures should be taken to rectify all major issues, and there must be severe sanctions, including the removal of directors, if a bank fails or refuses to implement high priority BoG recommendations. Directors and senior management should also be held personally accountable for any failure to implement where the required actions are within their control. 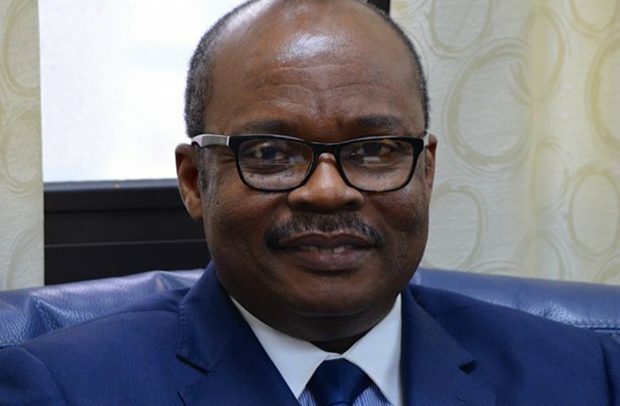 It also advised BoG to introduce a system of individual capital guidance (ICG) expressed as additional capital ratio points by which it is able to flexibly increase an individual bank’s capital requirement in response to identified shortcomings in its internal governance, controls framework or capital position. “BoG should assign officers to institutions assessed as having a ‘high’ composite risk rating. Such officers, they said, should have a mandate to ensure compliance with recommendations and/or to formulate an effective plan to rectify major issues. Such appointments should not require the consent of the institution’s management, and should be undertaken within 60 days of presentation of the examination report to the BoG Board. They also called on the BSD to review its assessment process for licence applications, adding that the current process appear to place significant and in some cases undue reliance on representations from the applicants and confirmations, which were not independent enough and lack rigorous assessment. They further stated that in respect of all new licence applications, BSD should look to independently ascertain the validity of any representations made by the applicants, and require conclusive evidence of capital resources being in place before granting a banking licence.